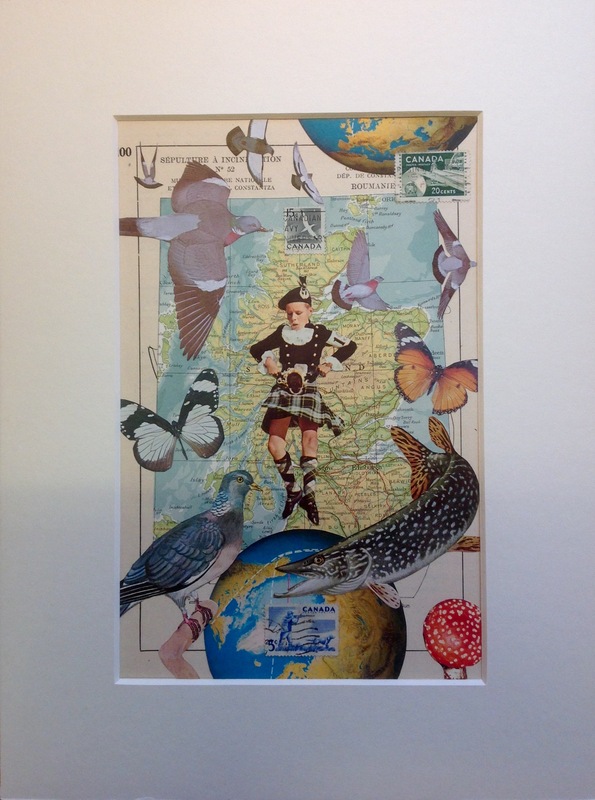 Another (and last one) with keywords Scotland, pikes and pigeons. 30x40cm (12x16inch). Made on 300 grams aquarel paper, background paper from archeological museum Constanza, part of fifties atlas, stamps and parts of illustrations from old books.